Writing code in of itself has many practical benefits that most people know about. But there are secondary benefits that creating websites with code can bring. The most obvious to me, is how a properly structured (pun intended!) web design course, will teach your students structured thinking. In short, it is a process of putting a framework to an unstructured problem. It is problem solving by applying a structure to information. 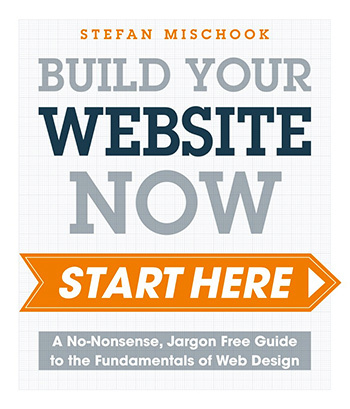 Building a website is an exercise in structured thinking. When you plan a website, you have to come up with all the pages, figure out how they link together, consider a menu style that works for the site … and much more. A great web design coding course should be real-world oriented, so students can learn the lessons of structured thinking. Experienced teachers who have taught web design, know that students get far more out of a course that teaches actual code, as students learn to build a website. On the flip side, having students write code snippets, without actually building anything (many times, they just move characters on a screen,) does not provide any chance to teach students organizational skills and structured thinking. Not surprising to professional coders, writing code snippets with no context, doesn’t help much with learning to code either. As some teachers have recently told me, they quickly see students get bored, as they just run through the motions of the repetition. … The code snippets, just replace a controller to move characters. Having students writing code snippets, to move characters on screen, is akin to thinking that you are teaching students how to drive, by having them play Super Mario Cart on a Nintendo. … It’s a great game, but ‘driving’ a Super Mario Cart, has about as much to do with actual driving, as using code snippets to move a character around on screen, has to do with actual coding. More and more teachers are using StudioWeb to teach their students real-world coding, because of the clear learning opportunities that writing actual code provides. This post was written by: admin and posted on Wednesday, August 23rd, 2017 at 9:53 pm.